While the grape jelly lids pop and seal in the kitchen, a quick note from my desk to say what I’m up to on the writing front, as promised in the previous post. I’ve got that novel that I seem to have been working on forever more or less done (again) and cooling in a corner, but in the meanwhile have been venturing into some creative non-fiction. I’m pleased that one essay-length foray into CNF has landed on the shortlist of The Quarterly Review‘s Edna Staebler Personal Essay Contest, and will be published in that most excellent journal some time next year. It’s called “Return Stroke” and weaves together the father-in-law I never knew, lightning (he was struck by it and his mother killed), and the making of biography. 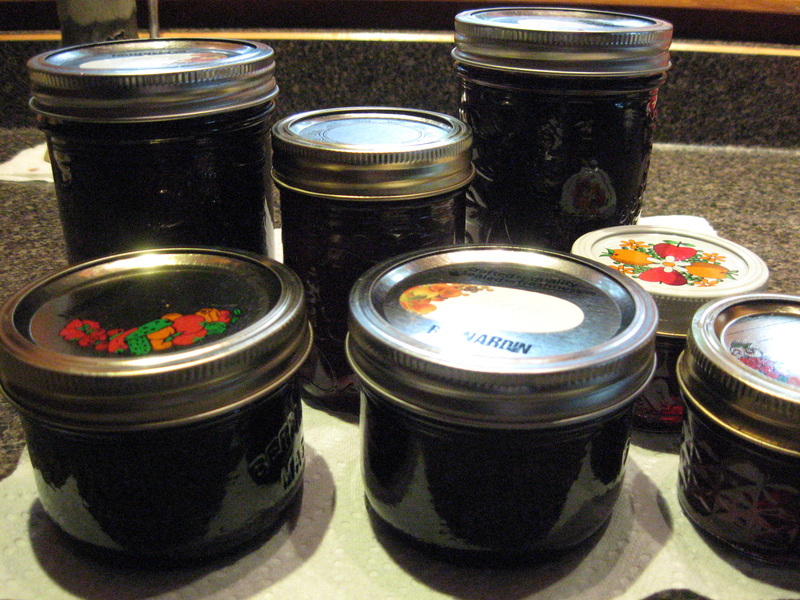 But the project I’m busy with at the moment (the grape jelly a minor and necessary distraction, me being constitutionally unable to let that many grapes from our own vines go to waste) is a memoir. I described it this way to the Manitoba Arts Council: “A memoir about two years in the Paraguayan Chaco–on the themes of belonging and identity as immigrant, mother, writer.” I’m very grateful that the MAC subsequently awarded me a grant; the plan is to work at this until the end of the year. I had drafted the narrative last winter after re-reading my letters to my parents (which they had kept) and my sporadic journal from those years, 1982-4. Now the work of improving–by adding and cutting, finding the right voice and structure, and fun things like that. Unlike fiction, I can’t make anything up, so my only option is to make what happened interesting. And yes, when it isn’t hard, it’s fun. Last notes: my review of Rob Zacharias’ book Rewriting the Break Event: Mennonites & Migration in Canadian Literature is online here; my review of Rudy Wiebe’s Come Back appears in the current issue of Rhubarb magazine. This entry was posted in Books, Personal, Writing and tagged Dora Dueck, Edna Staebler Personal Essay Contest, Manitoba Arts Council, Paraguay Chaco, The Quarterly Review by doradueck. Bookmark the permalink.